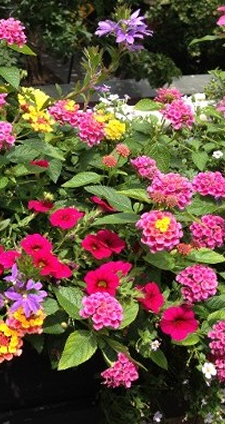 Lantana, Bacopa,Dianthus, Calibrachoa, and Scaevola bloom in a rooftop planter box on Hicks Street from May to November. 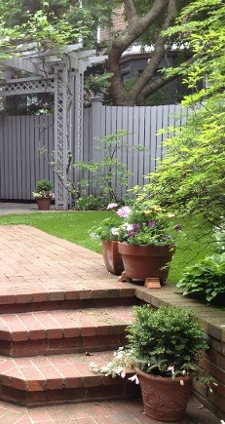 A pergola and a brick terrace frame a rear garden in Brooklyn Heights. 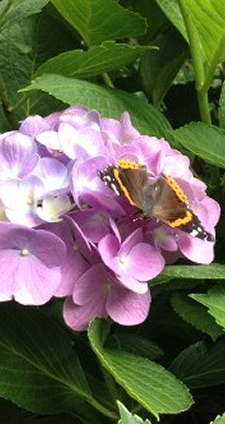 A Red Admiral butterfly rests on a hydrangea. 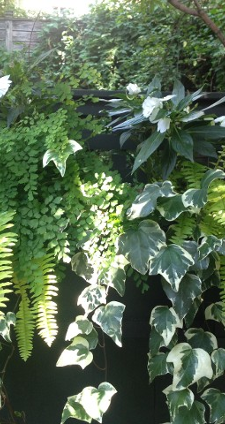 Green and white theme for a shady garden. Our goal is to create irresistible outdoor spaces in which our clients can enjoyably live. Comfort, beauty, plant diversity, and quality of materials are key elements in all designs -- unique to each and every place. Our services include landscape consultation, garden design, site planning, installation, planting and follow-up.